This review has been printed in the July 2018 issue of Chess Life. A penultimate (and unedited) version of the review is reproduced here. Minor differences may exist between this and the printed version. My thanks to the good folks at Chess Life for allowing me to do so. Shankland, Sam. Small Steps to GIant Improvement: Master Pawn Play in Chess. Glasgow: Quality Chess, 2018. ISBN 978-1784830519 (HB) and 978-1784830502 (PB). 336pp. Pawns may well be the soul of chess, as Philidor famously remarked, but they have received relatively little attention from authors. A few major works (and types of works) stand out among those in print. Hans Kmoch’s Pawn Power in Chess was perhaps the first book to attempt a comprehensive analysis of proper pawn play. It is a difficult read for the contemporary student, with its clunky terminology and strange neologisms. Still, Kmoch deserves no small credit for his pioneering, systematic treatment of all kinds of pawn-piece relations and structures. More useful is Andy Soltis’ Pawn Structure Chess, originally published in 1976 and revised in 2013. In contrast to Kmoch, Soltis wisely chose to limit his study to 12 structural ‘families’ covering a broad swath of opening theory. In each chapter Soltis describes the basic positional features that emerge from a pawn skeleton, using illustrative games to flesh things out. The outstanding (and more advanced) Chess Structures: A Grandmaster Guide by Mauricio Flores Rios is written in this vein. There are also specialized works on specific elements of pawn play. The Isolated Queen’s Pawn is one of the most important structures in chess, and the long out-of-print Winning Pawn Structures by Alexander Baburin is by far the single best book on the topic. (If you have a chance to pick up a copy, do so immediately without regard to price.) The IQP is also treated, alongside other pawncentric topics, in Jörg Hickl’s The Power of Pawns: Chess Structure Fundamentals for Post-beginners, reviewed in these pages in July 2016. Notably lacking in the literature is a broad, high-level discussion of “best pawn practices.” Sam Shankland’s new book, Small Steps to Giant Improvement: Master Pawn Play in Chess, fills that niche admirably. With Shankland’s impressive victory in the 2018 US Championship, coupled with his win in the Capablanca Memorial in Cuba as this article was going to press, I suspect that this will be the rare chess book that receives the attention it deserves. 7.Nbd2 is standard, but the pin after 7. …Bg4 can be annoying. What if the cure is worse than the disease? Kramnik’s intent is clear – he wants to tear open the kingside with g7–g5–g4, using the h3 pawn as a ‘hook.’ [A hook is “an advanced pawn which can be exploited by the opponent to open lines.” (Small Steps, 87)] The concrete tactical threat is 8. …g5 and if 9.Bxg5 (worse is 9.Nxg5 h6 10.Nf3 Bxh3) 9. …Bxh3 10.gxh3 h6 and Black is winning. If only Aronian could play h3–h2! In lieu of such a retreat, vacating the g-file seems logical, as it avoids the aforementioned tactical ideas. 8.Nbd2 is another option, also met by 8. …g5. Perhaps we are being unfair to Aronian here, as Kramnik’s idea was very hard to foresee, but the point remains. 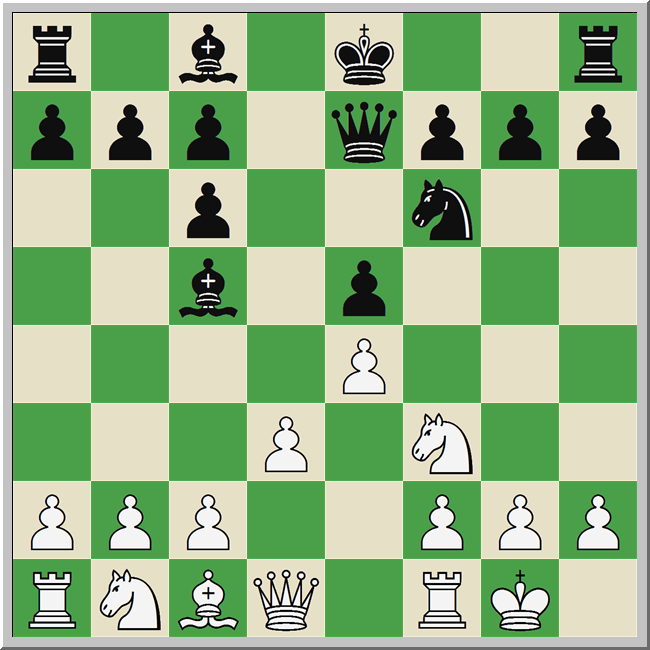 Pawns can rapidly become problematic when they advance, and in Small Steps to Giant Improvement, Shankland discusses five typical pitfalls (14) to avoid. 1. Pawns can become vulnerable as they advance. 2. As they advance, they can lose control over key squares. 3. Advancing pawns may block lines or squares needed by other pieces. 4. Pawn advances can weaken the king’s cover. 5. Advancing pawns can become a hook. Part I (Chapters 1-5) offers elucidations of each of these insights, a chapter at a time. 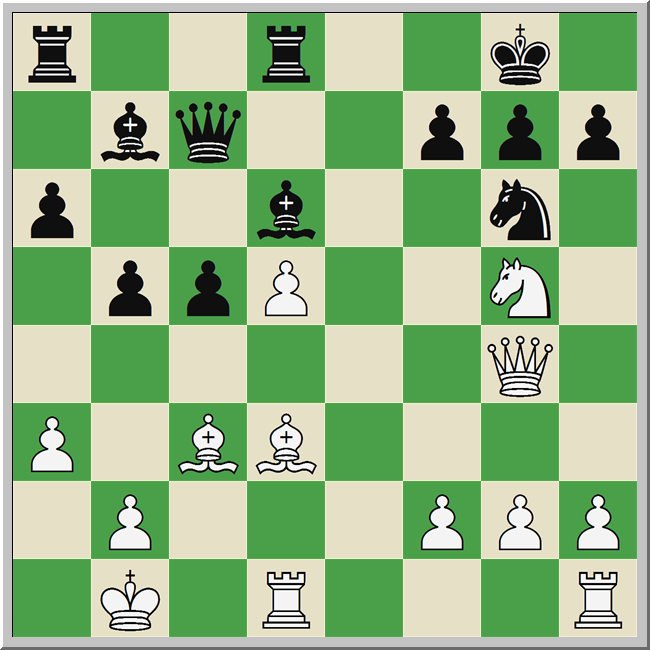 In Part II (Chapters 6-10), Shankland turns the tables and discusses reasons we might induce our opponents to advance their pawns. In doing so, he argues, we could take advantage of one of the five potential weaknesses described above. 1. They can be slow when trying to create a passed pawn. 2. They can easily fall prey to attack. 3. They may have trouble closing lines or controlling important squares. Part IV, like Part II, reverses our perspective. It describes situations in which we might want to double our opponent’s pawns, thereby inflicting positional weaknesses on their positions. Seems simple enough, right? Take care with your pawn advances, lure your opponent into inopportune pushes, and win? A more granular look at Shankland’s book, and more specifically, the way in which each chapter is structured, reveals that matters are vastly more complex than they first appear. Each of the 16 chapters in Small Steps to Giant Improvement share a common makeup. Shankland uses concrete examples to illustrate the main point of the chapter, and then derives a guideline – a key word in the book – for practical play from them. Almost immediately, however, he uses another example to expose the limitations of that principle, offering a second, contradictory guideline for readers to consider. The movement is almost dialectical, although it is not clear that there is a grand synthesis or resolution at the end of it. Chapter 13 (‘Avoid Redundant Workers’) is a case in point. Shankland begins by describing situations in which doubling your opponents pawns can weaken key squares or lines, and he uses two games (Dreev-Jakovenko, Togliatti, 2003, and Djukic-Mogliarov, Plovdiv 2012) to illustrate his claims. The Dreev position is of particular interest. 21. …fxg6? 22.Qe6+ is crushing. But wait! Just two pages later, Shankland returns to the position, arguing that Jakovenko missed a key defensive idea. He could have played 20. …Bf4! where “[t]he point is that the knight on g5 cannot be tolerated, if White wants to take on g6 and place his queen on h4. By removing one of the key attacking pieces, the doubled pawns will be much less of a big deal. Black is better in all lines.” (249) After 21.Bxg6 hxg6 22.Qh4?! (22.d6! Rxd6 23.Rxd6 Qxd6 24.Rd1 is only slightly better for Black) 22. …Bxg5! Black is better. Shankland therefore offers a second and seemingly contradictory guideline. “You can allow your pawns to be doubled in a way that allows your opponent access to a newly weakened square or a newly opened line, as long as your pieces can pick up the slack and prevent your opponent from making good use of it.” (251) What gives? The answer comes with “the final guideline, which is seen in some form in almost every chapter. You can allow your pawns to be doubled in a way that allows your opponent access to a newly weakened square or a newly opened line if it does something that is good for your position that you deem to be of higher priority.” (251, italics mine) Each guideline should – indeed, must! – be bent or broken if concrete conditions demand it, and it is only through calculation that we can determine whether any specific case warrants such lawlessness. This is the irony of Shankland’s work. It contains dozens of positional precepts for players to consider, and yet, the examples and analysis they are derived from only underscore the fragility of such heuristics. I suspect this is why Shankland is so consistent his terminology. Guidelines have the sense of being flexible, in contrast to “rules,” and they lack the sanctity of “principles.” His guidelines are valid insofar as they work in a given position; if they don’t, we are free to discard them. Small Steps for Giant Improvement is, nominally, a book about pawn play, and readers will certainly think differently about their pawns after reading it. Nevertheless, I would argue that the real subject and value of the book lies elsewhere. What we get in Small Steps is an intimate, unvarnished interrogation of a strong Grandmaster’s mind at work, and a clear articulation of the pragmatism at the heart of contemporary chess praxis. It is a fascinating first effort from the new US Champion, and I sincerely hope that the promised second volume (14) soon sees the light of day. This entry was posted in Instructional and tagged Quality Chess, Sam Shankland, Small Steps to Giant Improvement on July 3, 2018 by fullcityplus.